Join us and lead the fight against hunger. 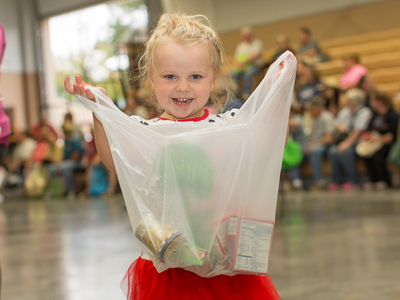 For every $1 received, Gleaners can provide up to $9 in groceries to hungry Hoosier families. * Fresh, healthy produce, protein rich meats and dairy, as well as shelf-stable items allow families to make and eat meals together. Give now by completing the form below, or mail a check to Gleaners Food Bank of Indiana, 3737 Waldemere Avenue, Indianapolis, IN 46241. *Click here to learn more about what your gift could help provide. Thank you for your support of Gleaners! You can become a Full Plate Partner by switching your one-time gift to a monthly gift now. Your monthly support will help provide families with year-round access to the nutritious foods they need. ©2019 Gleaners Food Bank of Indiana 3737 Waldemere Ave. | Indianapolis, IN 46241 | 317.925.0191 Gleaners Food Bank of Indiana is a 501(c)(3) private nonprofit organization.